While we write this, we are confident in assuming that the majority of European citizens are against the possibility of Turkey ever joining the European Union. Nevertheless, against all odds, the Turkish Republic remains an official EU-candidate member. Therefore, for those of you who still believe that we should give our southeastern neighbour a chance, we undertook the task of outlining the specific reasons why a Turkish membership was, is, and always will be, a bad idea. The Erdogan Regime – Turkey is ruled by an increasingly authoritarian regime that oppresses civil liberties and propagates a fusion of Islamism and ultra-nationalism. The Turkish government has jailed journalists, intellectuals and members of the opposition, it has funded and armed radical Islamist groups in Syria, Libya and elsewhere, and it actively seeks to counter the integration of Turkish migrants and their descendants into European societies. Some might argue that Turkey is not (yet) a full blown dictatorship because it’s government does enjoy a large degree of democratic legitimacy. Although we do acknowledge that Erdogan appears to be democratically elected, we do not see this as working in Turkey’s favour in our evaluation. The Occupation of European Territory – A significant part of the territory of EU-member Cyprus has been occupied by the Turkish military since a 1974 invasion. Until today, the northern half of Cyprus is controlled by the so-called ‘Republic of Northern Cyprus’, a Turkish puppet state resembling the Russian-occupied Lugansk and Donetsk ‘people’s republics’ in Eastern Ukraine. The continuous Turkish military presence in Cyprus means that Turkey officially occupies a part of the European Union. In our view, this fact by itself should disqualify Turkish membership of the EU. The Kurdish Question – Around one in five inhabitants of Turkey are ethnic Kurds, who have their own culture and language. The Kurdish population has been oppressed, to varying degrees, by successive Turkish governments in their social, cultural and political freedoms. As a result, armed struggle between Kurdish militants and the Turkish state has flared up every decade. Because the Kurdish people also inhabit parts of neighbouring Syria and Iraq, this struggle has often grown to regional dimensions. 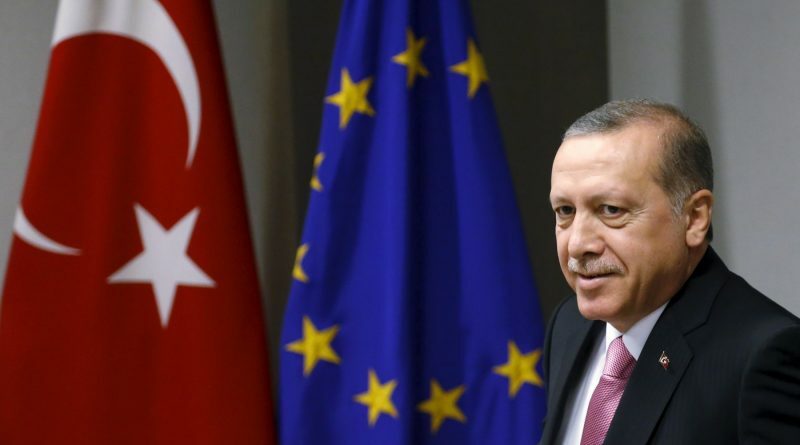 Turkish membership of the EU would therefore not only mean the import of an internal ethnic conflict, it would also entangle Europe with the bloody Kurdish independence struggle in other states in the Middle East. 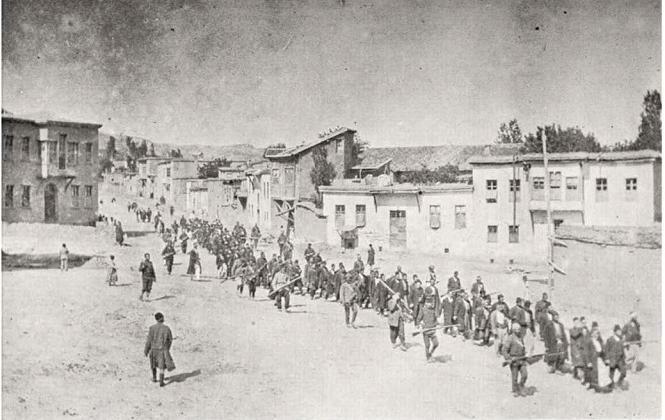 Denial of the Armenian Genocide – During WWI, Turkey’s predecessor, the Ottoman Empire, deliberately murdered up to 1,5 million Christian Armenians in an event known as the Armenian Genocide. Until today, the Turkish government does not only deny that the Armenian Genocide ever took place, but it actively tries to silence those who speak about it. Even mentioning the Genocide is punishable under Turkish law and the Erdogan government has diplomatically sanctioned European governments that sought to remember the mass murder of the Armenians. Recognizing one’s role in the Holocaust, has been one of the prerequisites for Eastern European countries to join the European Project, and after decades of silence, all of them did. However, it seems extremely unlikely that Turkey will ever be persuaded to do the same when it comes to the Armenian Genocide. Too many generations of Turks have been indoctrinated with the paranoid idea that the Genocide is a lie invented by foreign powers to smear Turkey’s ‘good name’. Population – Turkey has a population of almost 80 million people. 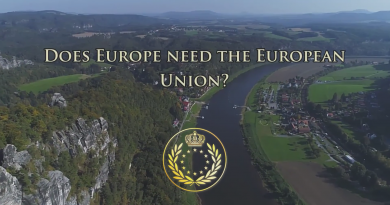 If it would join the EU, it would be the second largest member state, after Germany. Turkey would also automatically be allocated the second largest number of seats in the European parliament. EU-founders like France and Italy, with much larger economies than Turkey, would be pushed to the side-lines of an imbalanced Turco-German Europe. Moreover, Turkey’s population is projected to surpass Germany’s in size in the coming decades. 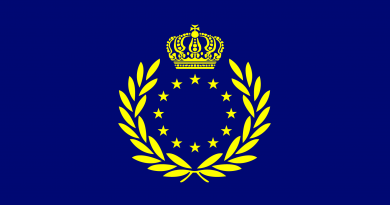 This would make a country, which many Europeans do not consider European to begin with, the most influential force in Brussels. Culture – This brings us to the final and most controversial reason for not supporting Turkish membership of the EU; namely culture. It is questionable, to say the least, to state that Turkey is a European country. Looking at its history, religion, language, customs and values, Turkey is more aligned with the Islamic World than with Europe. Archaic, premodern elements remain widespread, despite attempts at forced modernization and secularism. Even geographically, only a small part of Turkey lies on the European continent, and this part was mainly inhabited by Greeks until they were expelled in the 20th century. Therefore, for all intents and purposes, Turkey is not part of Europe, and is not perceived as such by most Europeans. On the contrary, Turkey has always been seen as the ‘other’, the ‘outsider’, the Islamic country to the East. For the sake of support for the European project, it would therefore be disastrous to allow a Turkish membership of the EU. Conclusion – To recap: Turkey is controlled by an authoritarian, Islamist government, occupies part of EU territory, is involved in a decades-long, bloody, ethnic struggle with the Kurds, and denies and intentionally obscures its historical responsibility for the Armenian Genocide. But even if democratic forces would come to power in Ankara, if the Cyprus and Kurdish issues would be miraculously solved and if Turkey would finally admit its guilt in the Armenian Question, we would still be left with a massively large country that few consider European, where unenlightened ideas about family, society and politics remain prevalent, and whuch is for all intents and purposes culturally distinct from Europe. If it is our aim to unite Europe, we must define where Europe begins and where it ends. Therefore, it is our task to identify which countries are part of our shared civilization and which are not. Which societies have so much in common that they can reasonably be assumed to coexist in a political community called Europe? In other words, which societies pass the threshold of ‘Europeanness’? It is our sincere conviction that Turkey does not and never will pass this threshold.